VCAL is a recognised senior secondary qualification that focuses on "hands-on learning" for students in Year 10, 11 and 12. Students who undertake VCAL are more likely to go on to do training at TAFE, secure an apprenticeship or get a job. A big advantage of VCAL is its flexibility. Students can design a study program that suits their interests and learning needs. Students enrol in VCAL at Foundation, Intermediate or Senior level as well as an accredited VET qualification. Students start and finish their VCAL at the level that matches their needs and capabilities. Senior VCAL (VET Pathway) is a recognised senior secondary qualification that focuses on 'hands-on learning' for students in Years 11 and 12. Completion of VCAL will help students gain employment, including Australian Apprenticeships and Traineeships. Or you can use VCAL as a pathway to progress to further study. Additional information about this course can be found on the Senior VCAL Course Finder web page. At Intermediate level the focus is on developing knowledge and employability skills. The course will lead to independent learning, confidence and a higher level of transferable skills. More information about this course can be found on the Intermediate VCAL Course Finder web page. At this level the focus is on basic and preparatory knowledge and skills to help you get a job. There is also a strong emphasis on literacy and numeracy skills. Students must be between 15 and 19 years of age and have not achieved Year 10 (or equivalent). Find out more about the course on the Foundation VCAL Course Finder web page. Applicants can download the Youth application form (pdf, 317kb). Alternatively please contact us have an application form mailed to you. 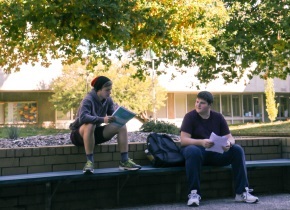 Return the completed application form in person at SMB Campus, S Building, Cnr Grant and Moyle Streets Ballarat, or mail to Federation College, PO Box 663, Ballarat 3353. We will then contact you to arrange an interview. Please bring Suitable identification (pdf, 20kb) to the interview. A letter of offer will be posted within two weeks of the interview. Unsuccessful applicants will be contacted by telephone. Enrolment details are included with the letter of offer. Federation College holds regular enrolment sessions for its programs prior to commencement of studies. Students will be advised of sessions times in their letter of offer, or you can check the program information on our website for details of enrolment sessions.